Anyone have a good materials list and plans showing dimensions of all lumber and hardware used? Anyone have a video removing their top with the shelf method? 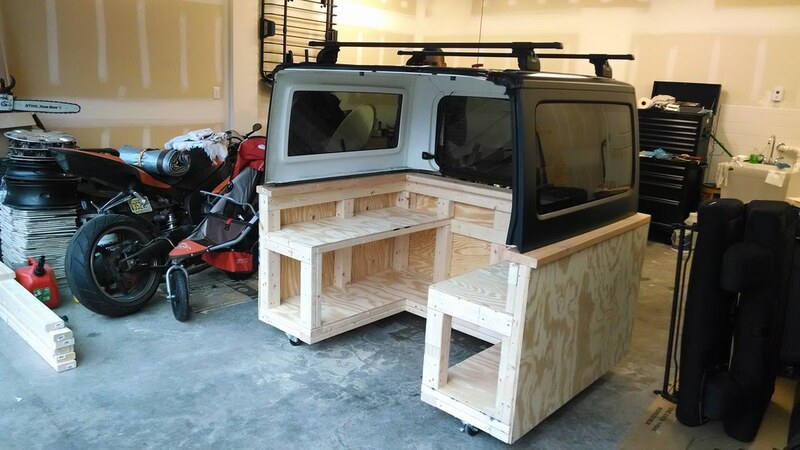 Looks like great idea, I am curious how to fit myself in between the Jeep the shelf and remove the top without hitting the tailgate and spare tire by myself using this method, a video of this in action would be helpful since this looks tight? Last edited by Fjeep; 04-11-2019 at 06:31 PM. I've seen this thread in the past. This kind of structure is not even comparable to having some sort of hoist in the garage, BUT, I realize not everyone has a garage, much less that they can mount a hoist to. What I really like about this thread is I see a lot of you folks, who might not otherwise, getting that damn top off and enjoying your jeeps the way they should be! I did something like this a few years ago. The plan was to have it mobile so I could roll it out to the Jeep, get the top off and then roll it into a corner. It is on casters and it will roll, but I just leave it in place. 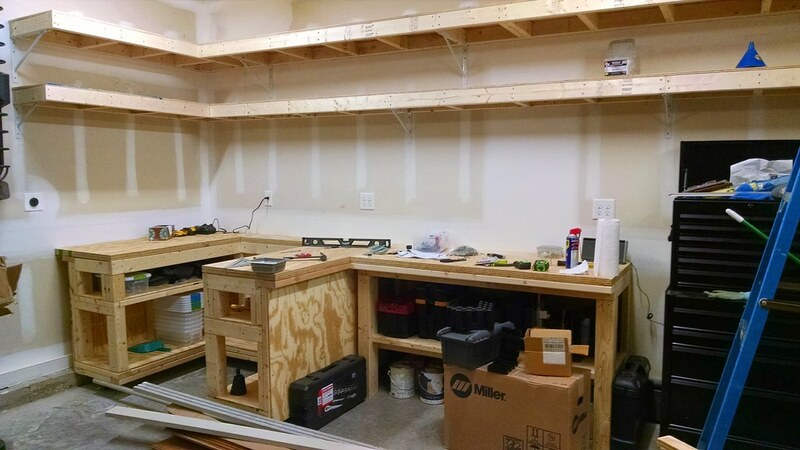 I built it first and built the rest of my garage shelving and workbench around it. I still take the top off by myself and just walk it over. 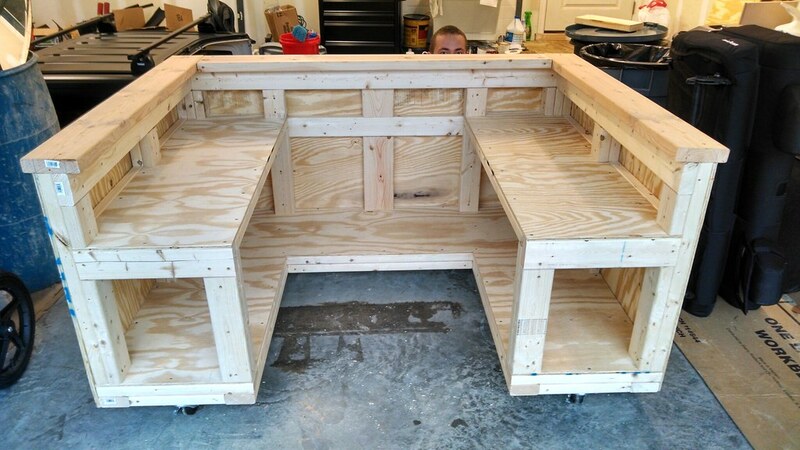 There are shelves built in and I ended up adding removable tops so special purpose tops could be dropped in. 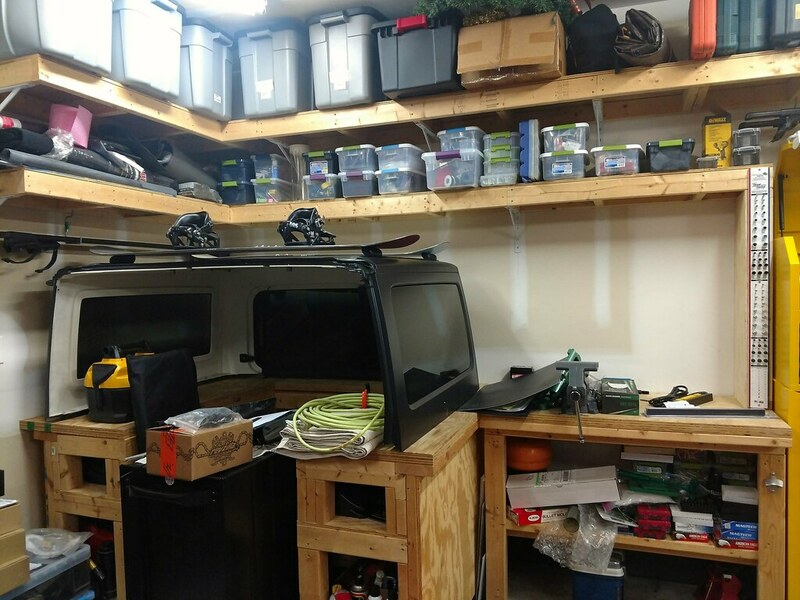 During the summer the hard top sits there but it the winter it's nice to have the extra space. A vehicle will fit in front of it too so no loss of the bay. I didn't build a hoist because my garage ceiling isn't all that high, and it's two layers of drywall with metal channel in between which makes it challenging to do ceiling mounted stuff for a number of reasons.